NEW MARKET, Ala. – In the end, nobody could stop the Muscle Shoals (AL) Trojans in the regular season. Now, they’ll see if their formula works in the playoffs. 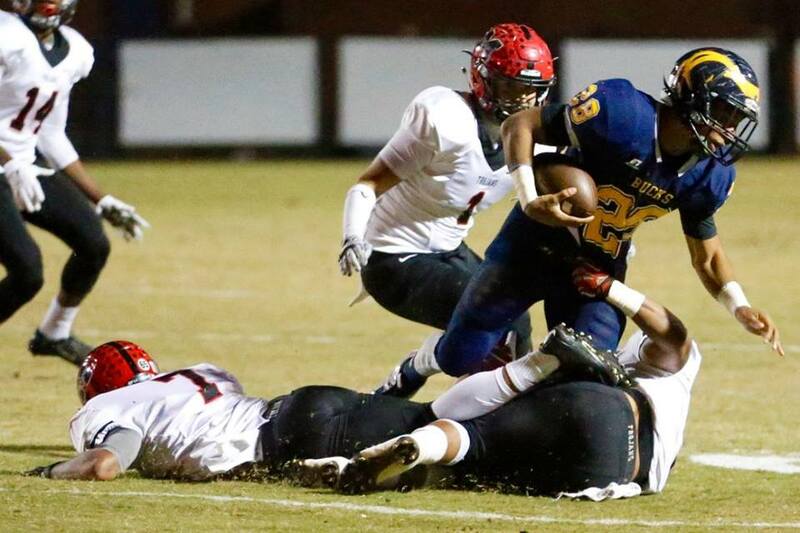 The Trojans put the wraps on a 10-0 regular season Thursday night by handing the Buckhorn (New Market, AL) Bucks a 28-0 loss. They’ll finally return home next Friday night where they haven’t played since October 9 for their playoff opener against Huffman (Birmingham, AL). The Vikings snuck into the playoffs despite a 4-6 finish.